The Curl Revolution is in Full Effect! Monday night was the seventh stop of The Curl Revolution book tour, and it was one of the best yet. The salon, located in the seaside town of Beverly north of Boston, quickly filled up for Monday’s event. Salon owner Cala Sabella Mahoney of Cala Renee salon pulled out all the stops, from the balloon version of me - complete with curly hair - to the curl-themed cookies. It was the perfect environment for curl camaraderie. After giving a brief introduction about NaturallyCurly and what inspired me to write the book, the women shared their curl stories. One, from the Domincan Republic, grew up in a culture where curls were always seen as something to be straightened – something referred to as pelo malo (bad hair). Her father made her feel like she wasn’t attractive unless she straightened her hair. Another older woman, who grew up in the 1960s, remembered ironing her hair on an ironing board. There was a 9-year-old who proudly wore her natural style, adorned with pink pompoms. 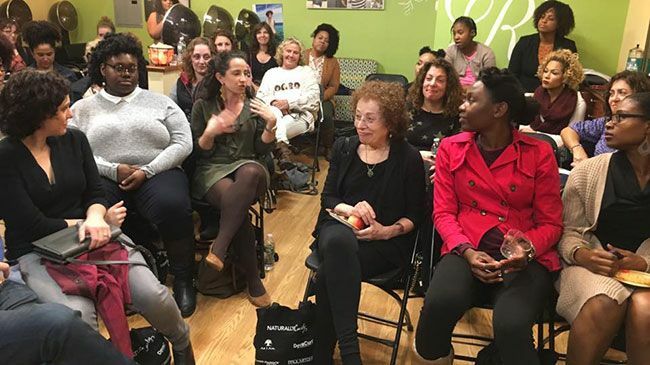 One theme that really stands out on this book tour is the importance that curl stylists have play in each person’s journey to curl acceptance and empowerment. Finding a skilled stylist who truly loved and understood their curls – someone who didn’t immediately assume they wanted a blow out or a relaxer - was life changing for many of these women. I’ve also been thrilled to see all the stylists from different salons who have attended, and been welcomed, by the host salon. There is a kinship and understanding between them. Rather than feeling competitive with each other, they are supportive. Cala initially opened her salon in 1989 as a family salon focused on children’s haircuts. In the 90s, the salon began to direct its attention towards curly hair, and by 2005 it was truly a curly salon. All of the stylists are curly hair specialists who have received training from DevaCurl and Lorraine Massey. She has turned it into a true curl mecca, recently doubling her space to accommodate a growing clientele. Many travel hours to have their hair done there. 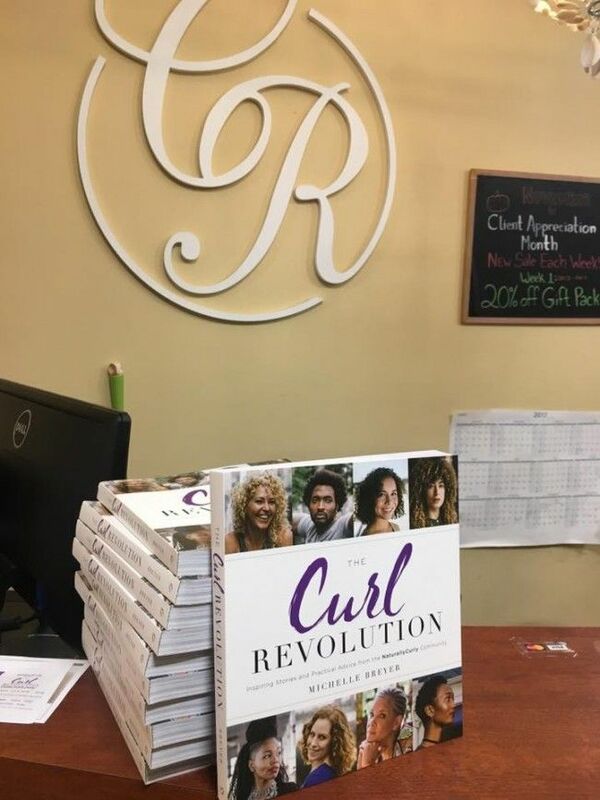 The Curl Revolution book tour is in full effect now, and we've already been to Oasis Salon in Washington D.C., Ouidad Salon-FL, San Francisco's MaduSalon, and Southern Curl in Atlanta. 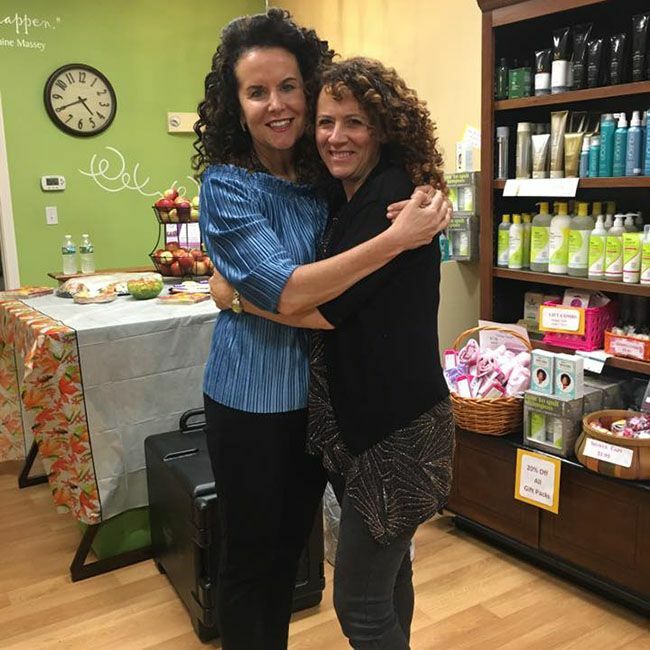 Thanks to The Curl Revolution Promotional Partners: Aunt Jackie's, As I Am, Coconut Restore, Curlformers, DevaCurl, John Paul Mitchell Systems, Ouidad.